Always the most easy to use processor. For all the people who like apple products this is by far the best among their phone category. No bends unlike their previous iPhone 6 and it is much smoother with an excellent camera quality. Apple fanboy. User friendly & have been using iphones only. Expensive parts. Once damaged costs a lot. Expensive brand. Never had to visit the service centre. Really classy, everything at one touch, camera is beyond amazing. To open the lock with the fingerprint doesn&apos;t take more than 1/4th of a second. Strongly recommend everyone to purchase this. It&apos;s a user friendly phone with amazing battery capacity and good camera . A phone which can can bought without any seconds thoughts. Hi, I&apos;ve been using the Iphone 7 128 GB for almost 6 months now. Had ordered it through Paytm for a 10k cashback. The jet black color that I have was scratched on the back side in the first few days - using a scratch guard there. I&apos;d recommend buying the matte black instead of jet black. 60 Pricebaba users have written their experience with Apple iPhone 7 128GB. If you own Apple iPhone 7 128GB, please do leave your feedback too. 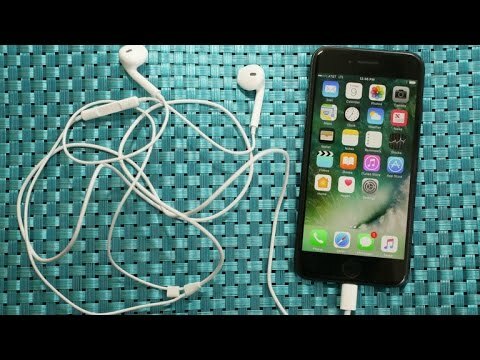 Lowest price of Apple iPhone 7 128GB price in India starts at Rs. 48,999 Apple iPhone 7 128GB is available on Flipkart at Rs. 48,999 and on Amazon at Rs. 48,999. Prices updated on 23rd April 2019. Ans: Yes, Apple iPhone 7 128GB supports VoLTE and hence will works well with Reliance Jio network. Ans: Apple iPhone 7 128GB uses Apple's proprietary lightning port for charging. Ans: No, the Apple iPhone 7 128GB lacks a dedicated 3.5mm standard headphone jack. The Earpods supplied with the phone have a lightning port and cannot be used while charging. You may still use your earphones with 3.5mm pin, thanks to the converter supplied with the phone. Ans: Apple iPhone 7 128GB was the first phone receive a 12MP camera with 4K video recording support. And yes, you can also record Slo-mo videos with the phone's rear camera. Ans: The box of the Apple iPhone 7 128GB consists of the device itself, wall charger, a lightning cable for charging and data syncing, a pair of in ear Earpods, lightning to 3.5mm converter and a SIM ejector pin.